We started out in 1972, as a small family business. 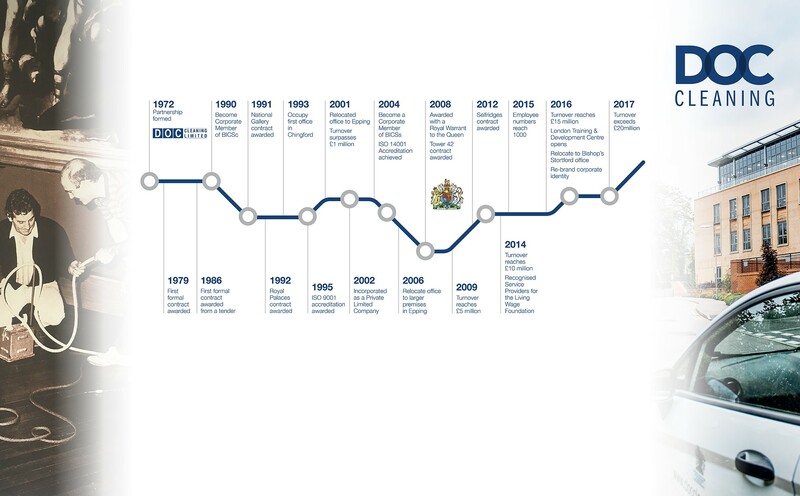 Getting on for fifty years later, we’ve grown considerably and now have c.1,500 staff and a turnover approaching £25m pa. We remain an independent, family led business with an emphasis on exceptional standards, trusted relationships and traditional values. And we’re always looking to improve and progress. Our core job is cleaning buildings – to an exceptional standard. But we’re also polishing your image and reputation, creating a healthier, safer, more attractive, welcoming and efficient environment for your staff, customers and visitors. The bottom line is – a cleaner business is a more productive and profitable business. Our clients really value our approach and the quality of our work. Several of them have been with us for more than 40 years. We are proud to count some of the world’s most iconic buildings, businesses and public attractions in our growing portfolio. It was with great pleasure, and much pride, that our company was awarded a Royal Warrant to Her Majesty the Queen in January 2008, which we held for 10 years. This prestigious award was given in recognition of the long standing relationship and high levels of service that were provided to the Royal Household over many consecutive years. It also further demonstrates our commitment to supply an excellent service to all of our customers. To become the leading cleaning company operating in the most prestigious of environments whilst delivering our core company values. We are passionate about what we do and this is reflected in both our aim to consistently provide a high quality service which is both cost-effective and trouble-free and our objective to establish long-term partnerships with our clients. To ensure our clients operate in spotlessly clean premises, making them safer, more efficient and more welcoming for their staff, clients and visitors. We started out in 1972, as a small family business. Getting on for fifty years later, we’ve grown considerably and now have over 1,500 staff and annual turnover well in excess of £20m. In 1972 our company was formed by Bob Andrews and Dave O’Connor. It has remained family run ever since. In 1995 our company was first awarded with the ISO 9001 accreditation, demonstrating our commitment to quality procedures. After 30 years as a partnership, the company is incorporated at a limited company. 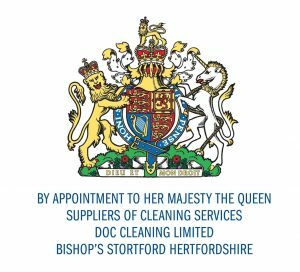 In 2008 it was with great pride that the company were awarded with a Royal Warrant to Her Majesty The Queen. Still going strong after 45 years, the company’s turnover exceeded £20m for the first time. Want to make your business shine?